Posted in: Electronics, Model Trains. 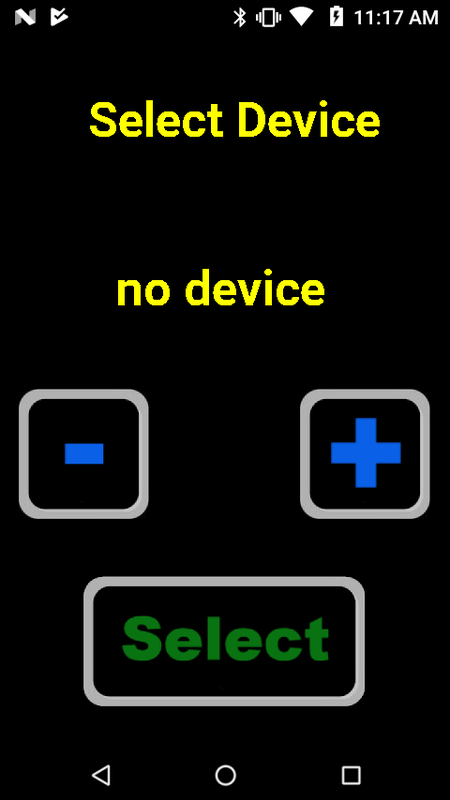 More Progress on the Android Bluetooth Throttle App. I’ve been working on this for several months as time permits. I’m very close to an initial release of it. Below are screen shots of each of the pages. 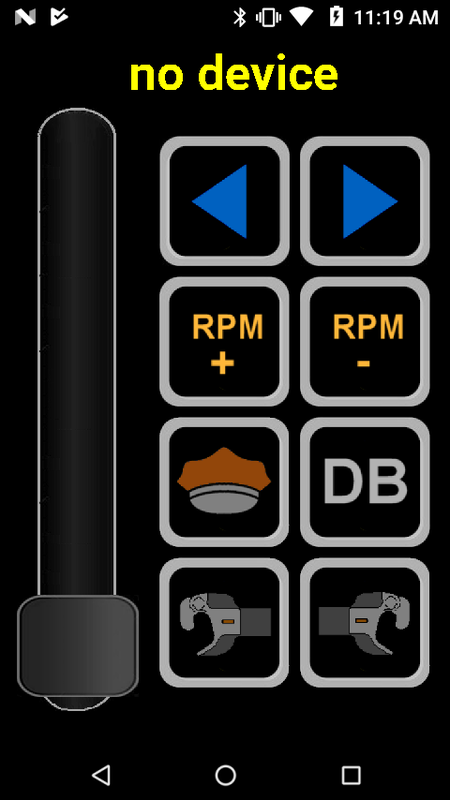 This is what I call the base level app- I also have several special screens I’ll add later that will allow the configuration of the SoundTraxx and TCS Decoders using plain text selections instead of having to punch in CV numbers. I also have some battery only sorts of screens that I’ll add later on. This is the first screen. 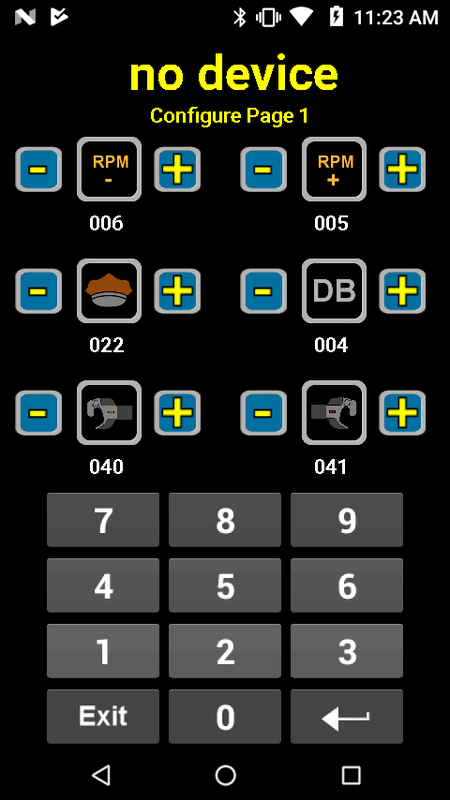 Use the plus/minus buttons to view which paired device (locomotive) you want to control, the press select. 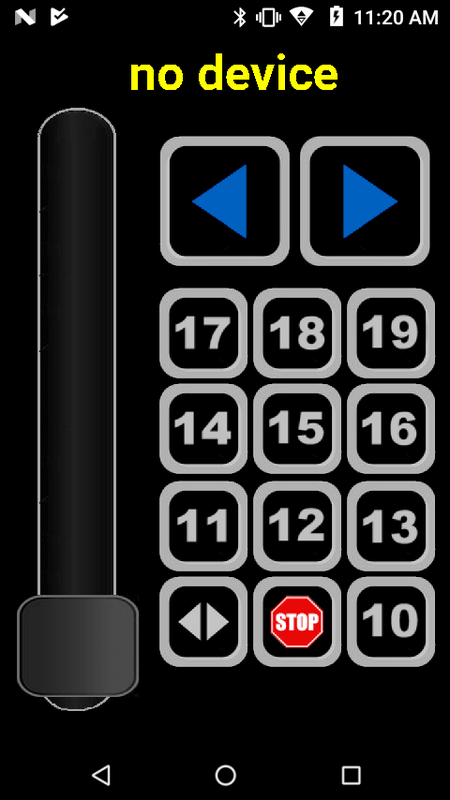 Once selected, the app will remember the last setup you made with it and set all of the buttons, function codes and screen configurations. 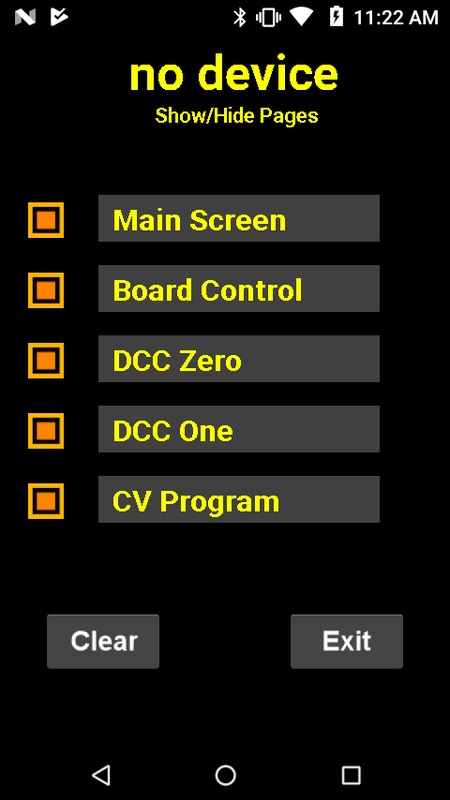 The above two are ‘generic’ DCC command screens. These are not programmable but you can show or hide them. These send the corresponding DCC function code. This is the CV programing screen. 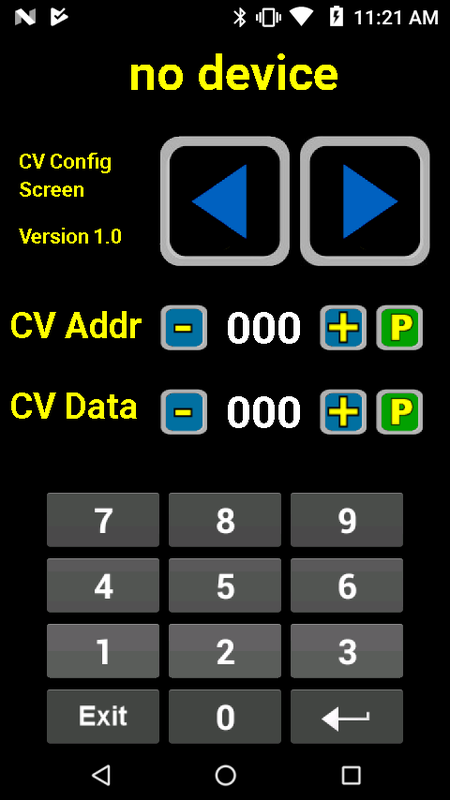 Use this to set CV address and data for a particular function. This is the page configuration screen. You can set each of the above pages to display or not here. The ‘Cancel’ button will clear the current configuration and set everything back to defaults. Cancel requires that you press it 5 times in order to clear to prevent hitting the key by mistake. 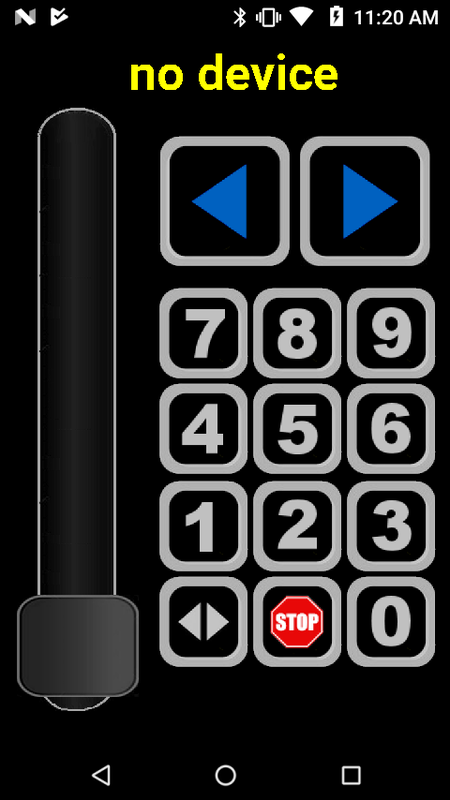 Tapping the ‘Main Screen’ entry will take you to a screen that allows you to set the icon and function code for each of the buttons. 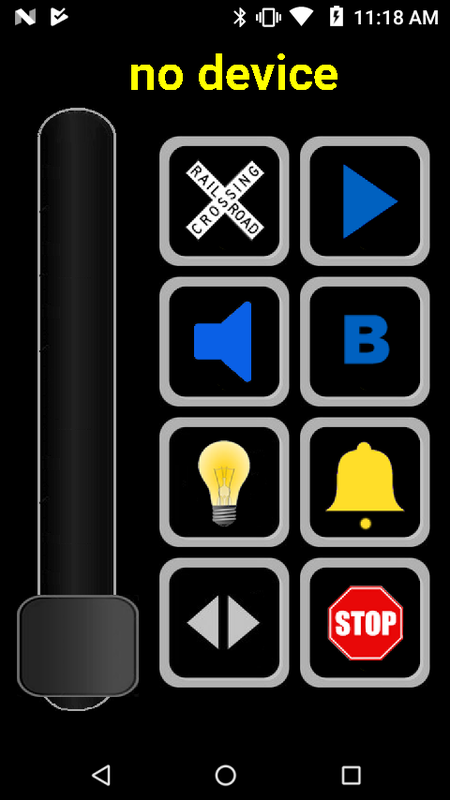 You can also tap the ‘Board Control’ entry to configure that screen as well. See below. The above are the two screen configurations. Use the plus minus to change the icon picture. 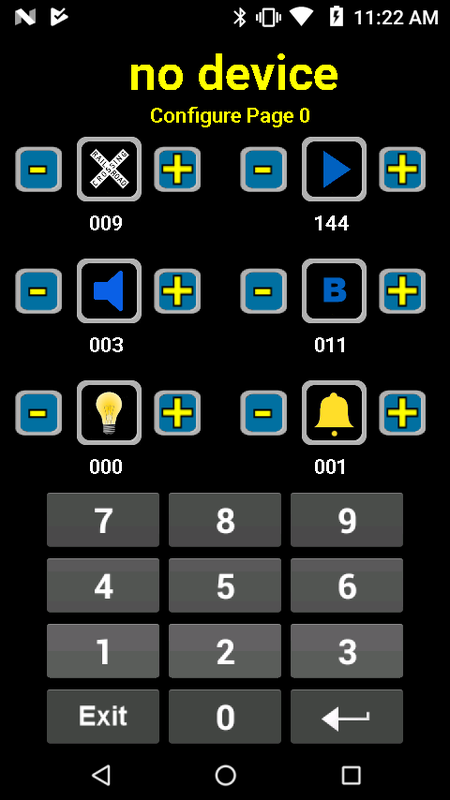 Press the icon and the number turns green so you can enter the associated function code for that button.